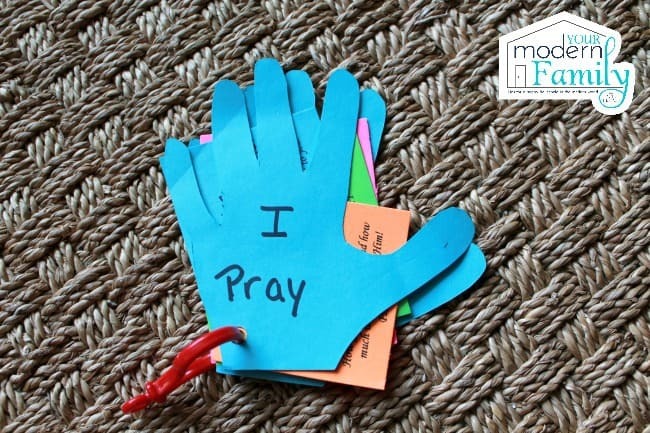 Today I am sharing my friend’s Prayer Hands with a free printable. 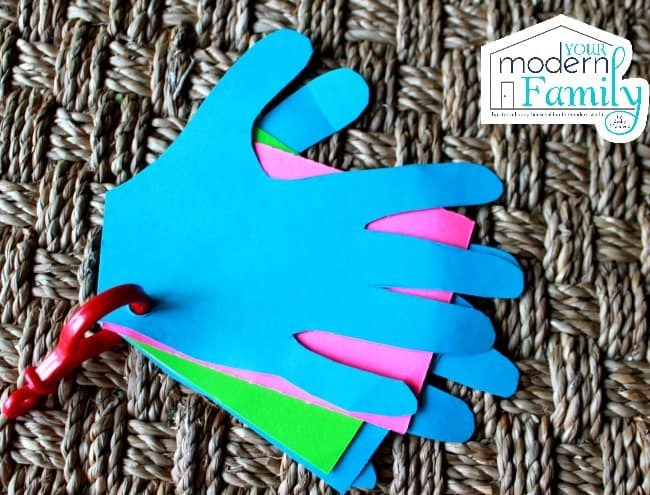 It’s a simple way to remind your kids of what is important and remind them off all that they have to be thankful for, not only during this time of year but all year through. My dear friend Deanna is always coming up with awesome ways to teach her children to grow in His love. She also teaches Sunday School at her church and she is just a fantastic mother and friend. A few weeks back, I was asking her for advice for the kids. I told her that our boys seem to just become so quiet when it was their turn to pray out loud. (When we do our family devotion and prayer at night). They would whisper “You go first” to their brothers, or they would do a “thank you for my family, house, friends …….” prayer. I wanted them to dig a little deeper. Deanna to the rescue! 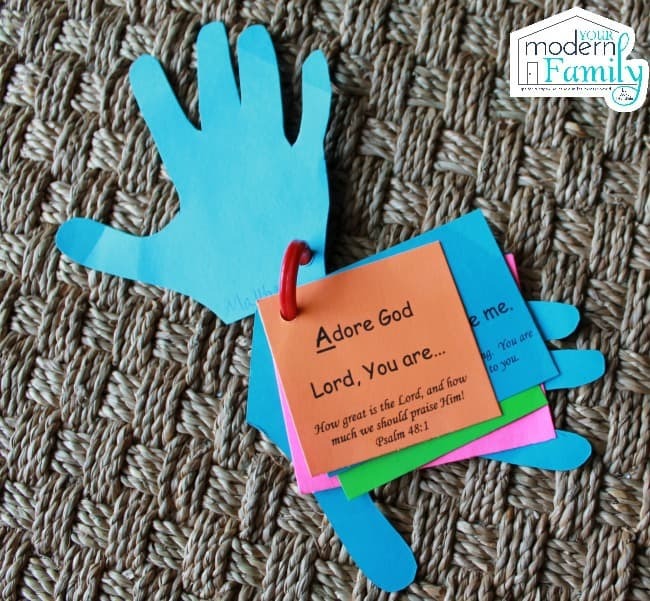 She let me borrow her son’s “prayer hands”. 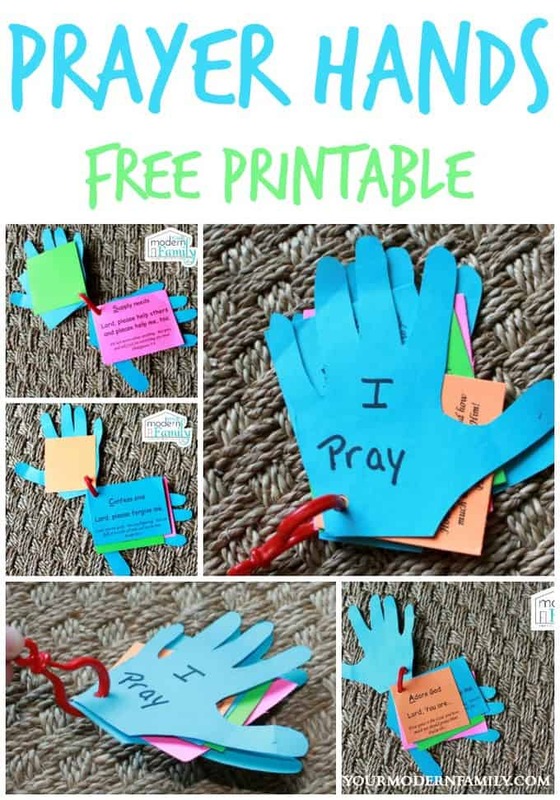 She made these with her kids and she has them use it at night, although they don’t need to once they have used them enough to remember. It is a way to give them suggestions of what to pray for, while they are young so that they can grow from this and learn it and expand on it as they get older. 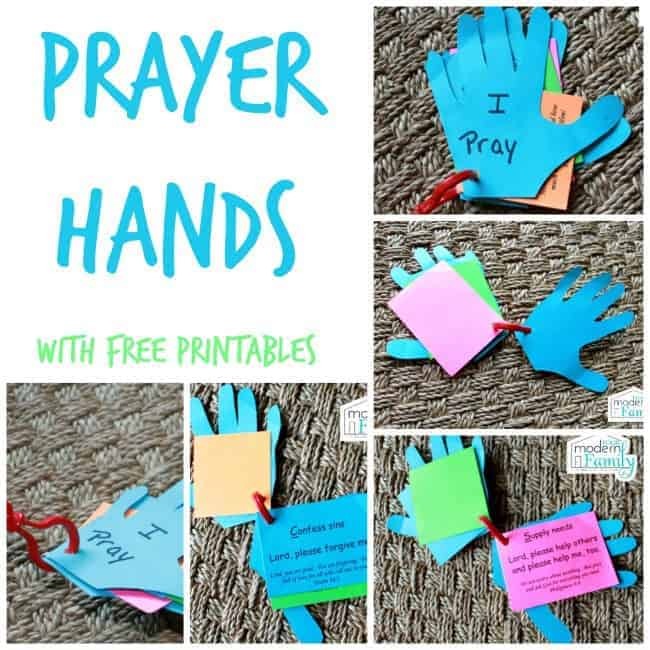 To print these prayer hands, simply click this link to be taken to a printable document where you can print out these cards. 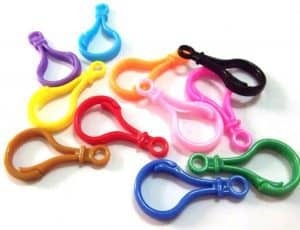 You can print them all one paper or change colors and print them on a variety of colors. I hope that you liked those! I love them and our kids love them, too! Thanks to my friend, Deanna, for allowing me to borrow them and share them with you! I dont’ know? 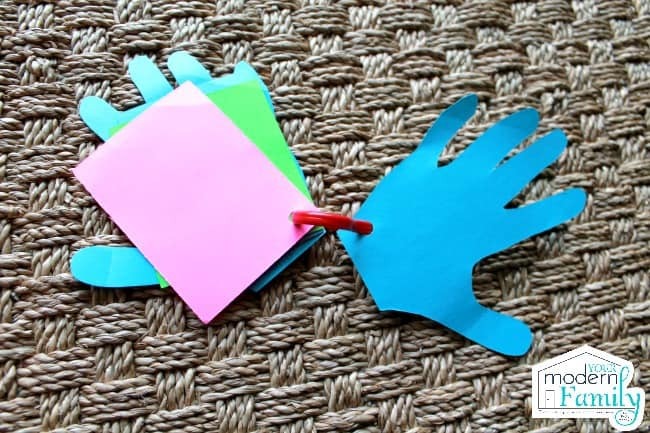 I think that my friend traced her son’s hands, so she printed them onto paper and then cut them into the shape of her son’s hands. Thank you for sharing this project. It had made a tremendous impact on my Fourth Grade, CCD class. My students have a hard time asking their parents for help with these projects, so it has now become a parent/ student project and the all love it. God Bless you. Oh that’s awesome! Thanks for sharing!! 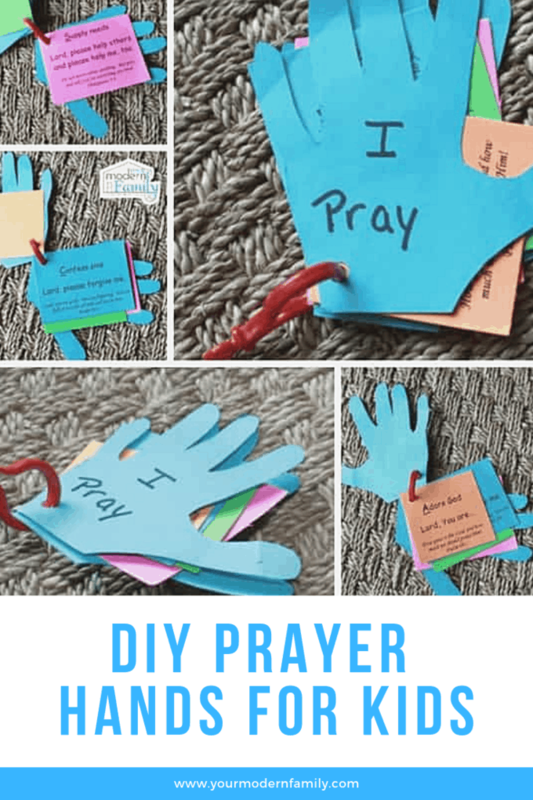 Thanks for the awesome idea, I had been praying about how to teach about prayer to my 5-7 year old Sunday School class. I clicked on both places I was given to opportunity to get the link for the prayer hands and nothing happened. I was so excited to use this with my first and second graders. Thank You so much for this. I’m a new sunday school teacher and ive been praying for God to give me the lesson he wants me to teach these kids. I kept cominy across this prayer one and saved it but kept thinking nah Lord they know how to pray. Wrong lol. A little girl asked our bible study leader how we pray and was shocked that we talk to him like we talk to each other and then i just heard a little voice say there you go. So thank you so much! This is gonna be great. Cant wait to teach it.. 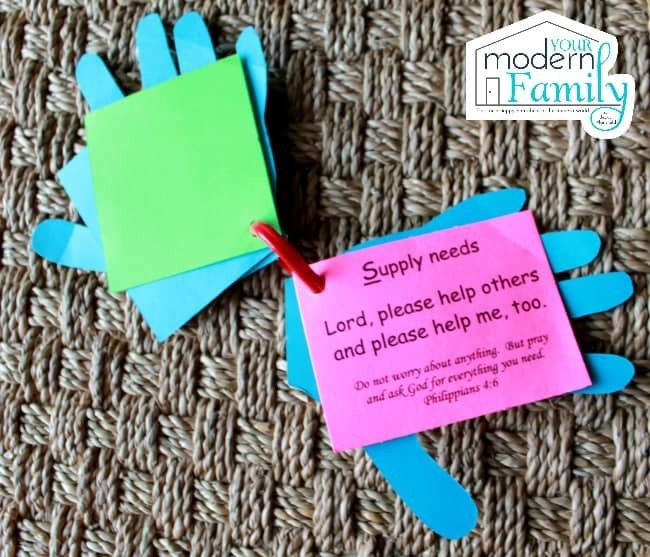 Adults sometimes need an easy prayer line.